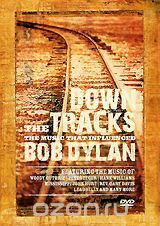 ﻿ Down The Tracks: The Music That InfluenCed Bob Dylan фильм купить на DVD диске. Заказать Down The Tracks: The Music That InfluenCed Bob Dylan на KINOGLOBE.ru. Описание: Down The Tracks This Fascinating Programme Tells The Story Of The Music And Artists That Have Influences Bob Dylan Throughout His Career. Although His Reputation As A Songwriter Stands Supreme, Dylan Has Often Covered Tracks From Folk And Country Performers Or Incorporated Elements From Them Into His Own Material. "Down The Tracks" Explores The Lives And Work Of Many Of These Artists And How Dylan Interacted With Them Through New And Historic Interviews And Archive Performances.